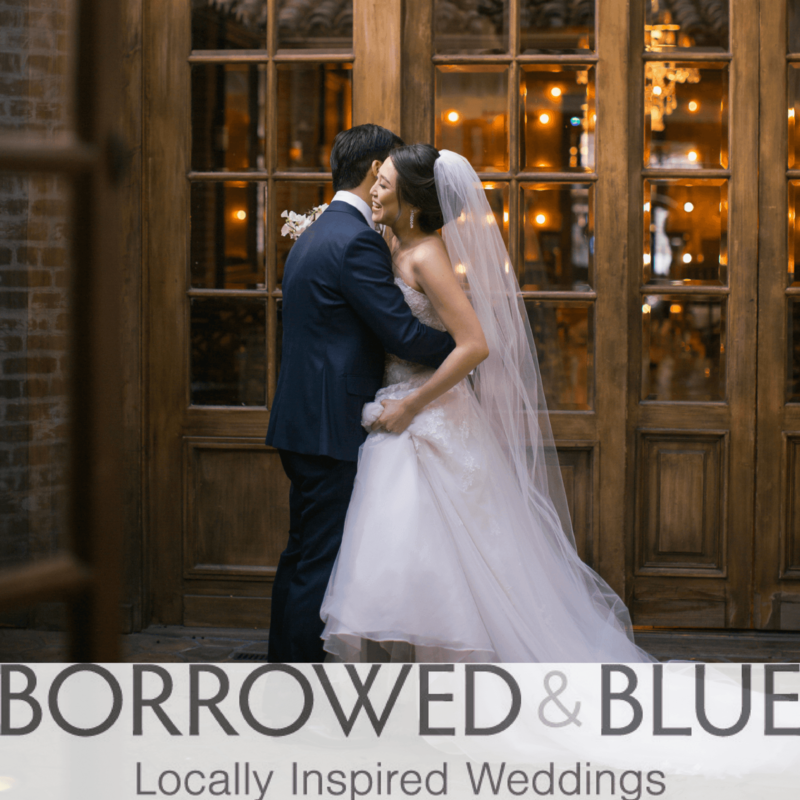 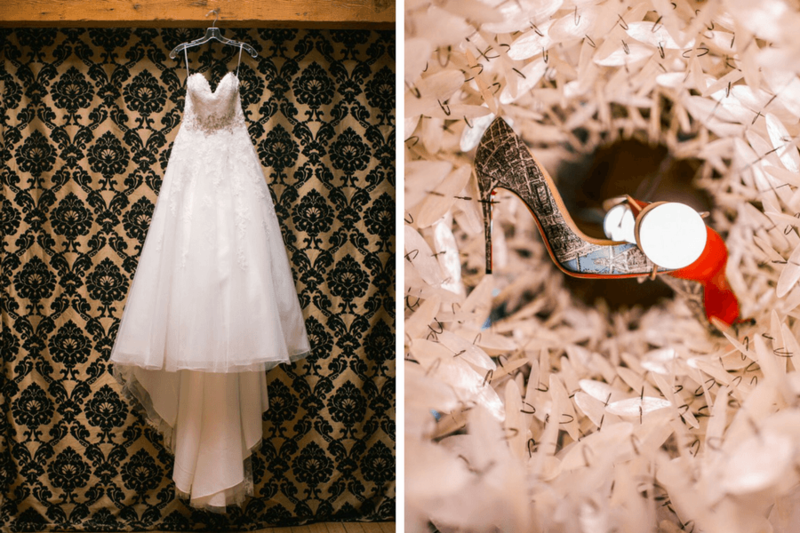 Kate + Martin’s Carondelet House wedding was the perfect combination of a romantic, modern and intimate nuptials. 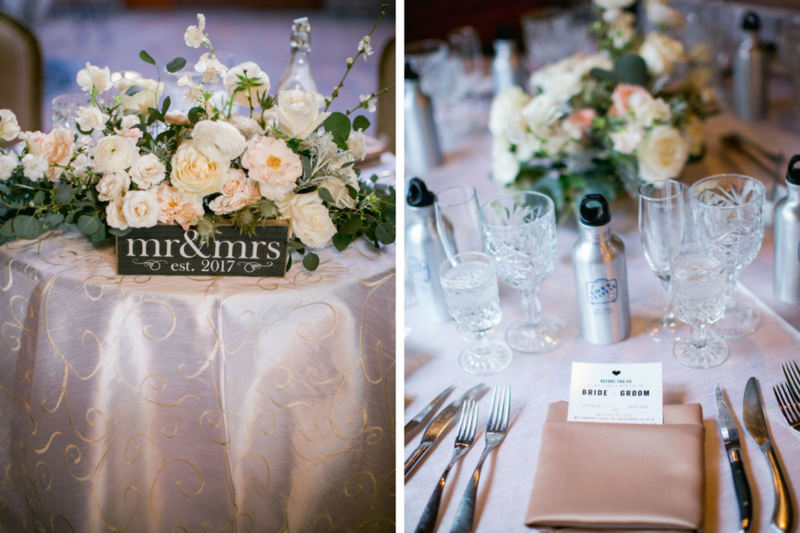 This wedding featured an expert color scheme of blush pink, deep purple and muted grey a stunning display of florals and design brilliance. 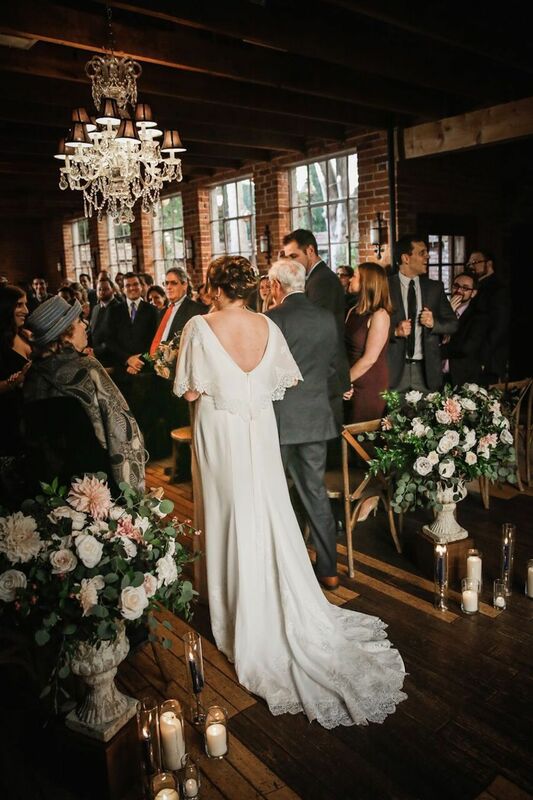 Kate looked gorgeous in a floor length gown that was intricately design with beading and lace. 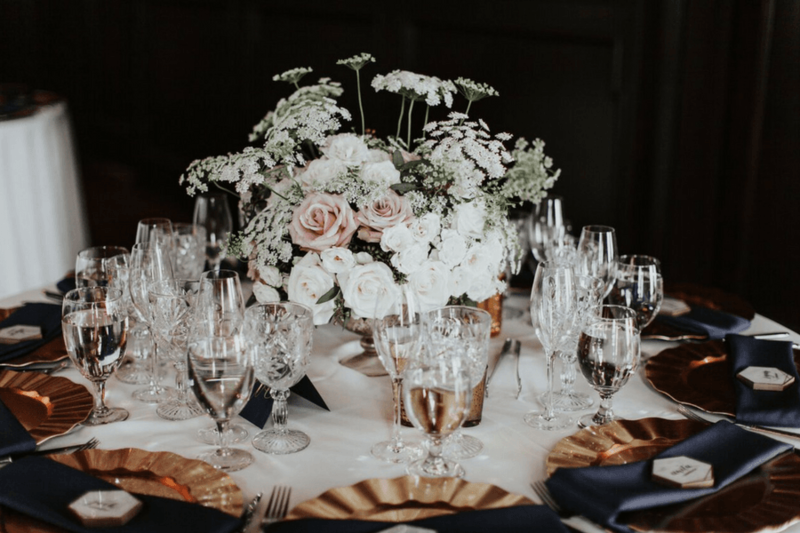 She held a bouquet of white florals that included mauve and berry seasonal accents that were expertly tied together with a dove grey velvet ribbon. 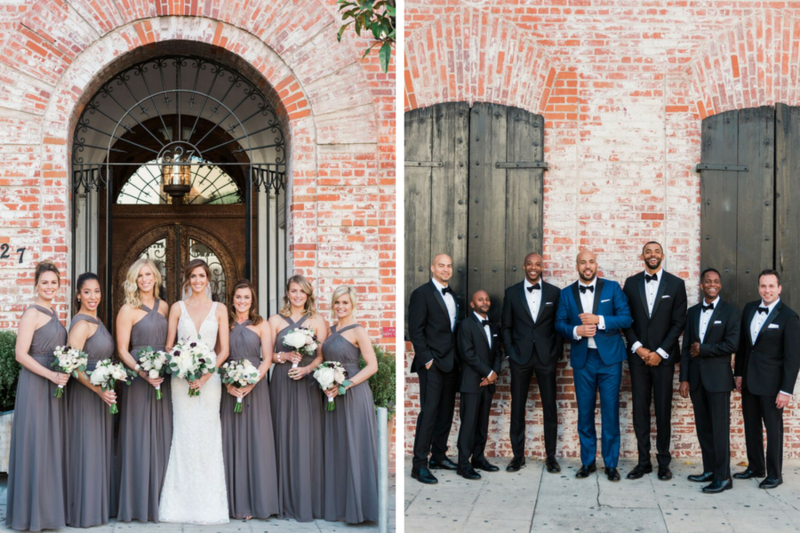 Her bridesmaids looked beautiful in floor length grey gowns with a high neckline that crossed. 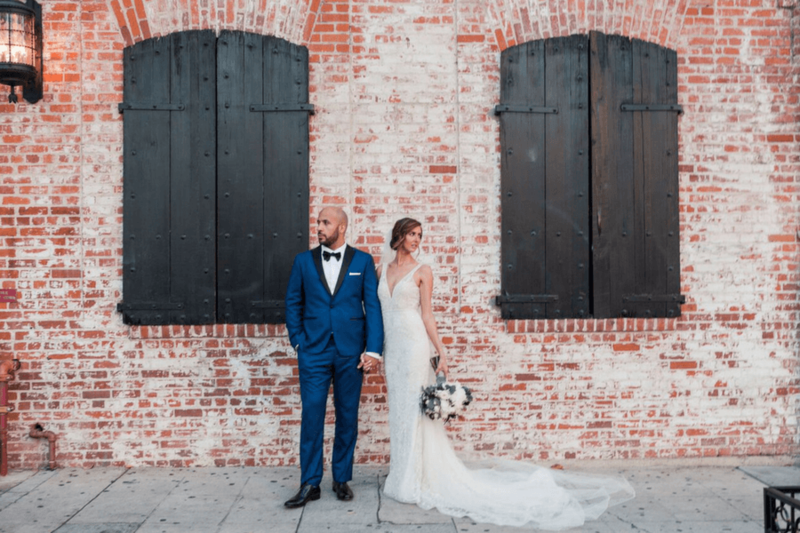 Martin looked dapper in a blue suit and a black bow-tie while his groomsmen mirrored his sharp look in black suits with black bow-ties. 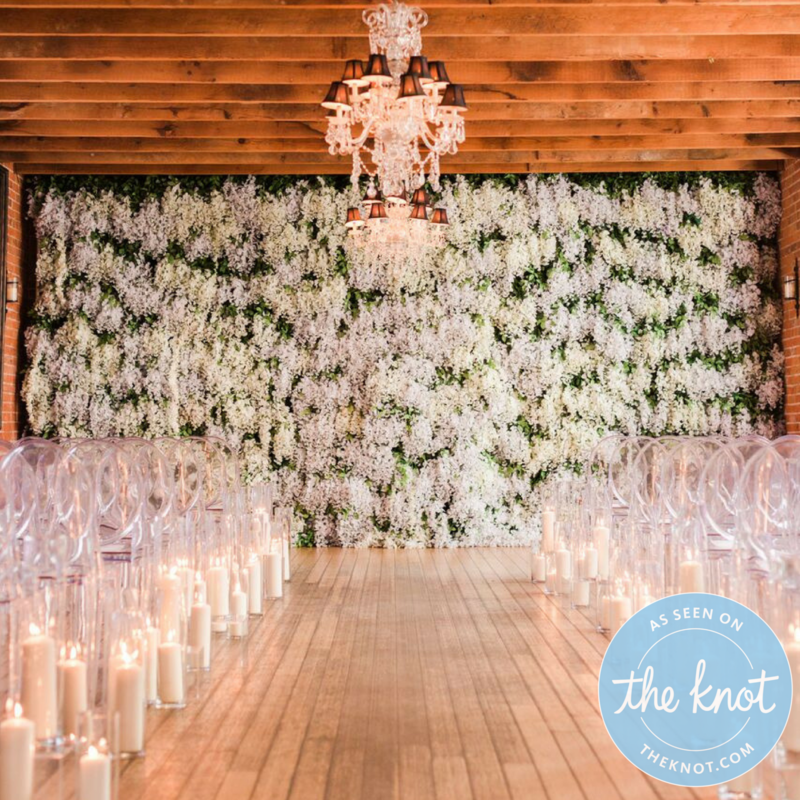 Created by Shawna Yamamoto and Company, a dramatic floral wall of thousands of white wisteria flowers served as a breathtaking backdrop for Kate + Martin’s breathtaking nuptials. 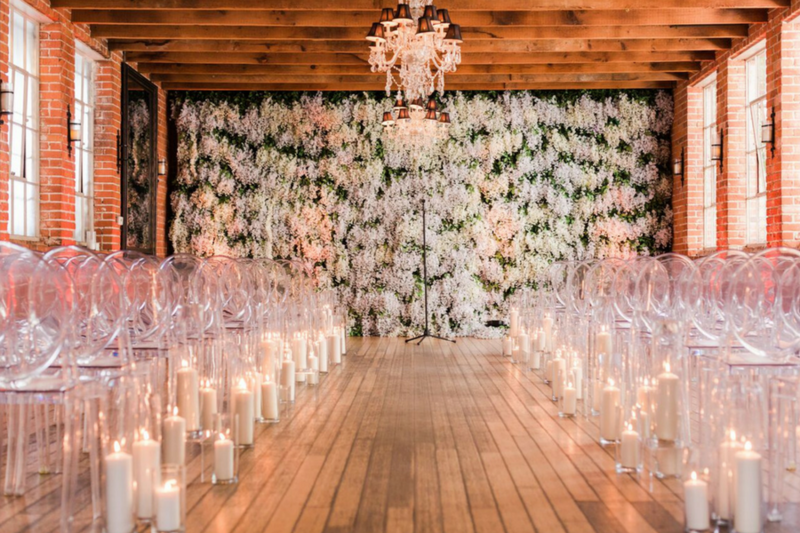 Ivory pillar candles were lined on both sides of the aisle and guests were seated in clear ghost chairs to witness the I do’s. 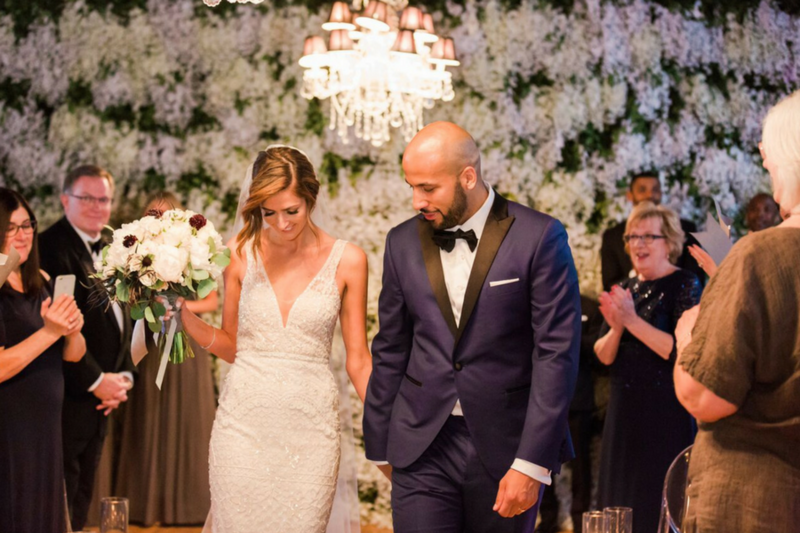 Surrounded by close friends, family and the prettiest floral backdrop we’ve ever seen, Kate + Martin became husband and wife. 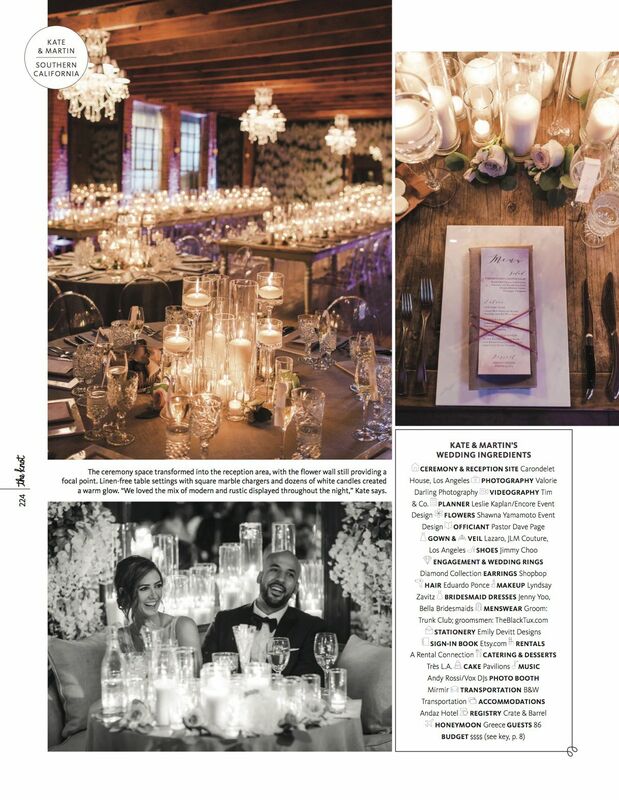 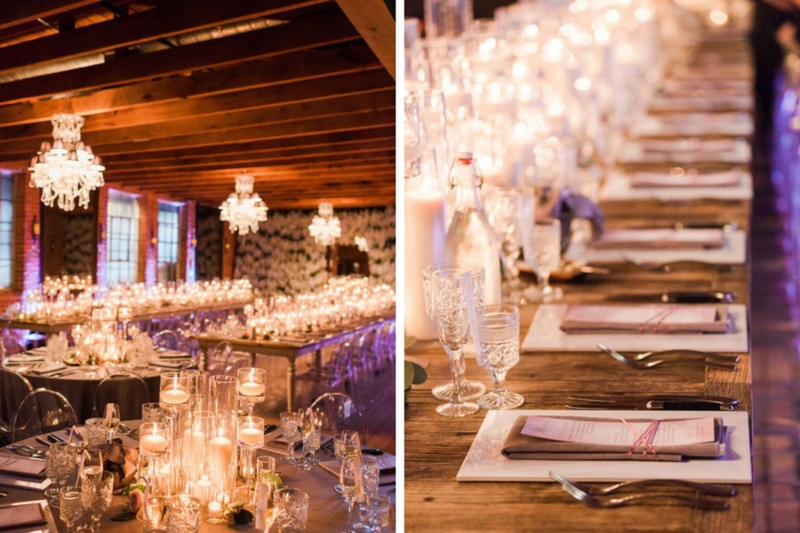 For the reception, our long family style wooded tables were topped with the ivory pillar candles in glass cylinders along with a plethora of floating candles in clear votives. 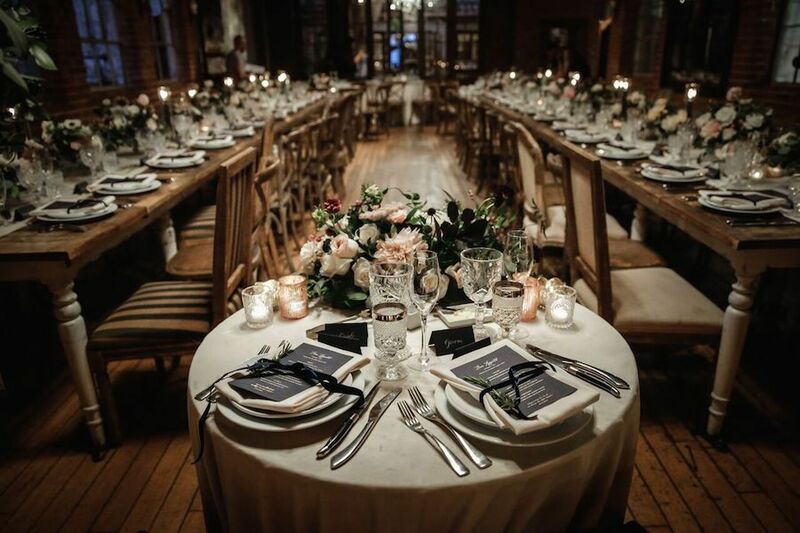 Guests enjoyed dinner on marble chargers while while seated in the fabulous ghost chairs. 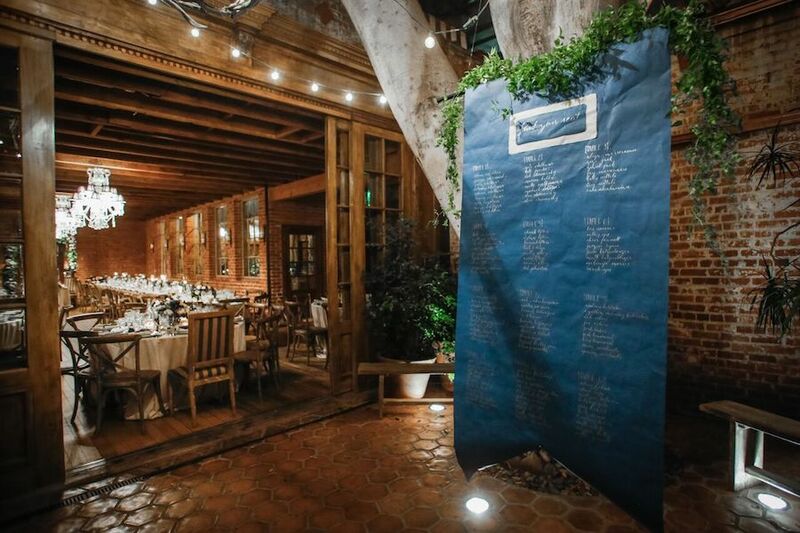 Following a delicious dinner catered by Tres LA Catering and heartfelt speeches, guests enjoyed cocktails, snapping photos in the Mir Mir photo booth and dancing the night away. 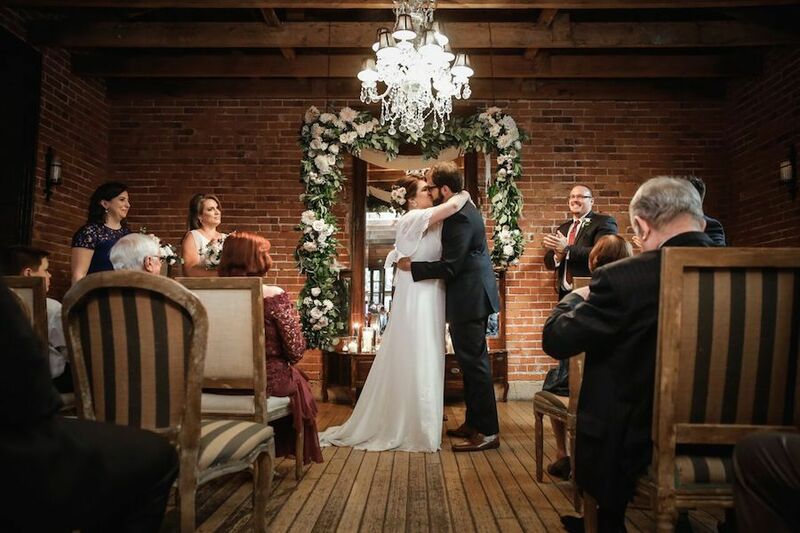 Thank you to Valorie Darling for capturing the best moments of this magical day! 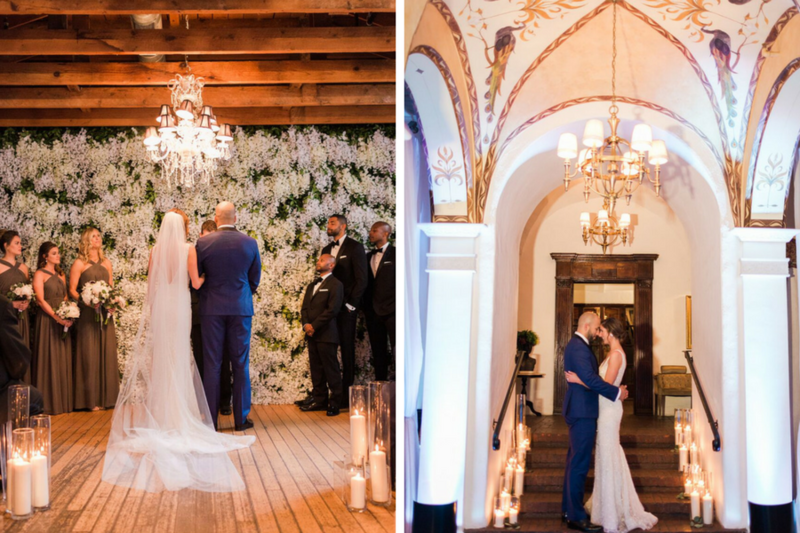 With the expertise of LVL Weddings and Events, this Ebell Long Beach wedding exuded a sophisticated elegance. 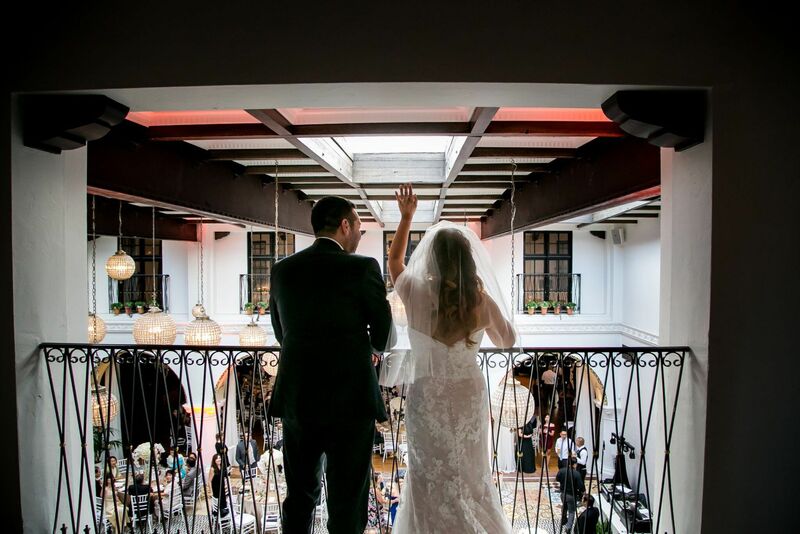 Emilie and Matt exchanged vows in a romantic ceremony framed with lush greeny and the natural lighting of our spectacular courtyard. 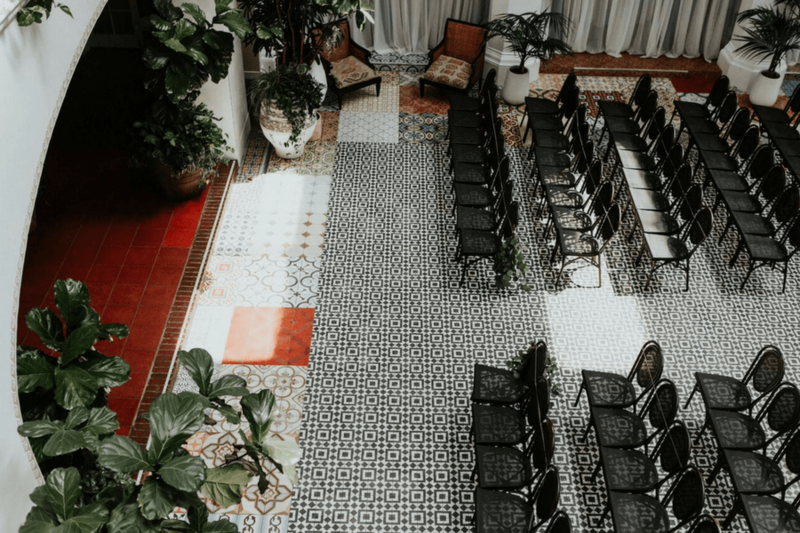 The beautiful bride to be made her way down the aisle wearing an elegant white gown to meet her soon to be husband who donned a sharp black tux. 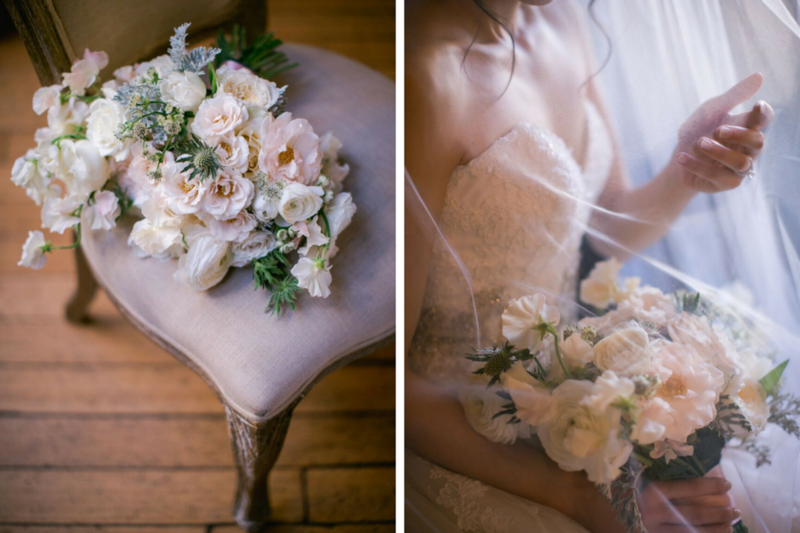 Her bouquet featured vibrant blue, pink and purple tones created by Carla Kayes. 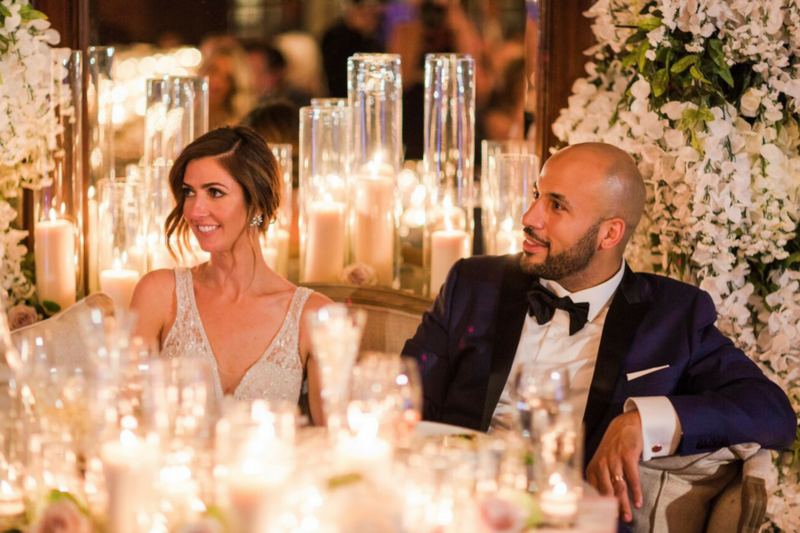 After the ceremony, family and friends gathered into the Grand Ballroom for the reception where they would celebrate and toast to the newlyweds. 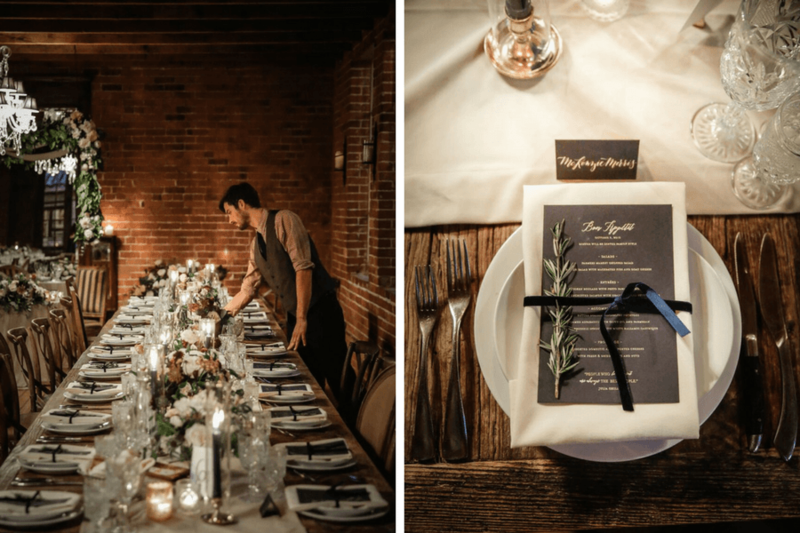 Round tables filled the room with all black linen details. 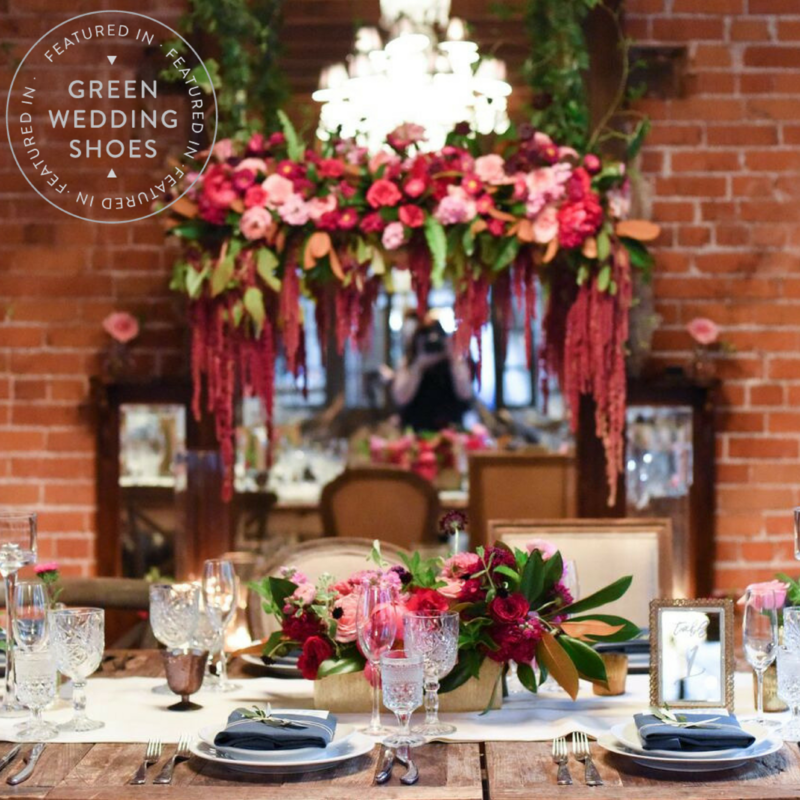 Each table displayed vibrant jewel toned florals that added beautiful focal points throughout the room. 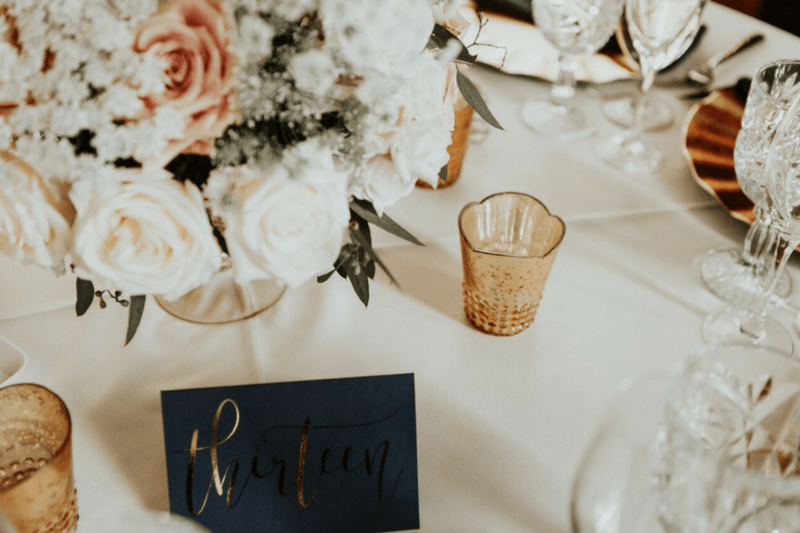 Guests enjoyed delectable crispy broccoli, spinach salad, buttermilk chicken and grilled hanger steak all from Tres LA Catering. 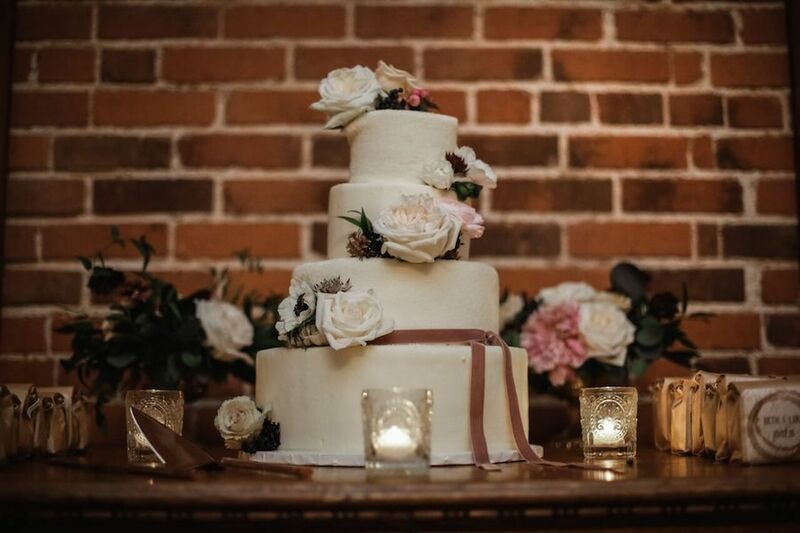 The night ended with a simple yet delicious cake by Sweet and Saucy Shop. 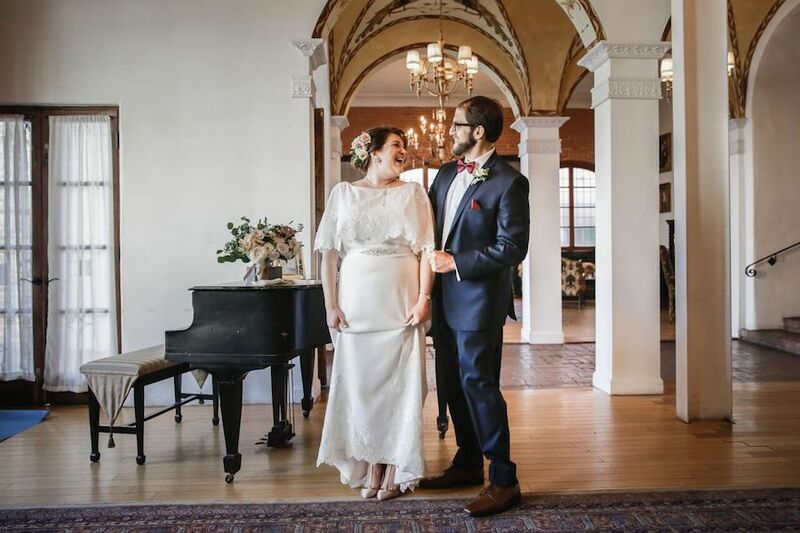 Thank you Kristi Fontamillas for capturing every moment and all the beautiful details of Emillie and Matt’s special day! 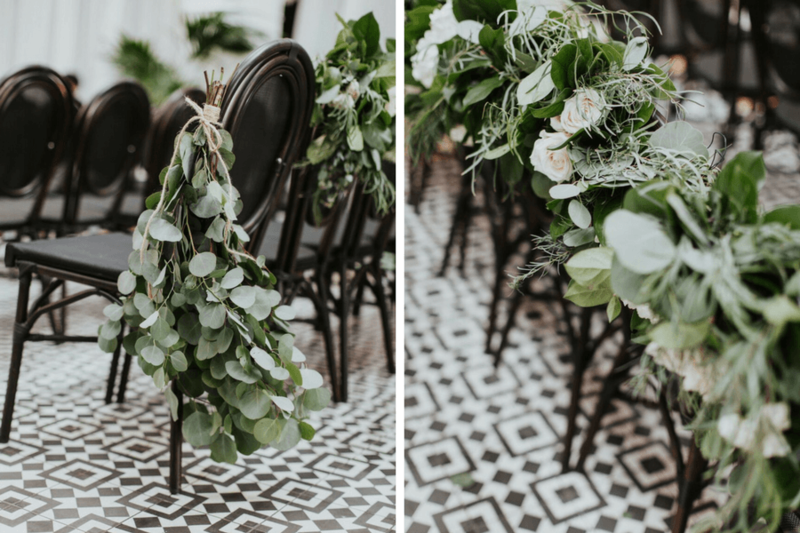 Planned by Encore Event Design, Allie and Kyle’s Carondelet House nuptials were a trendy, greenery filled wedding we won’t forget! 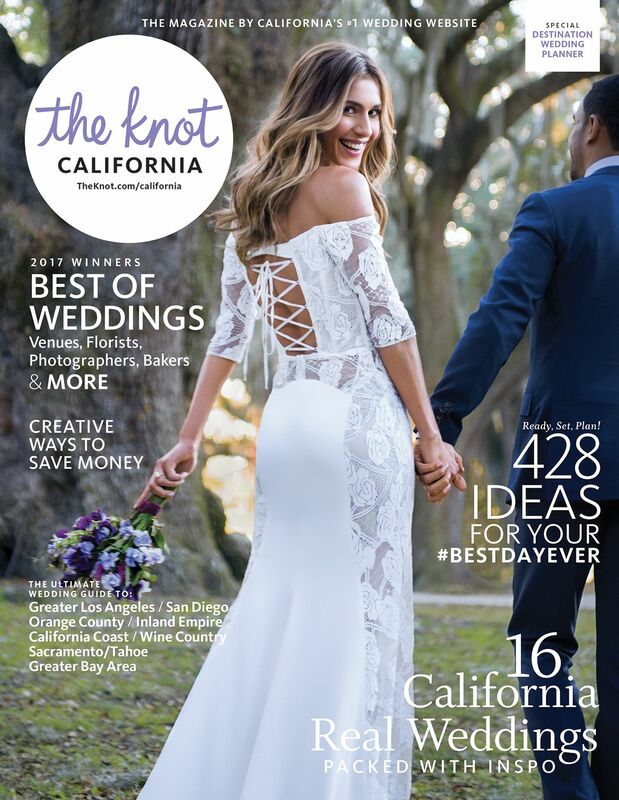 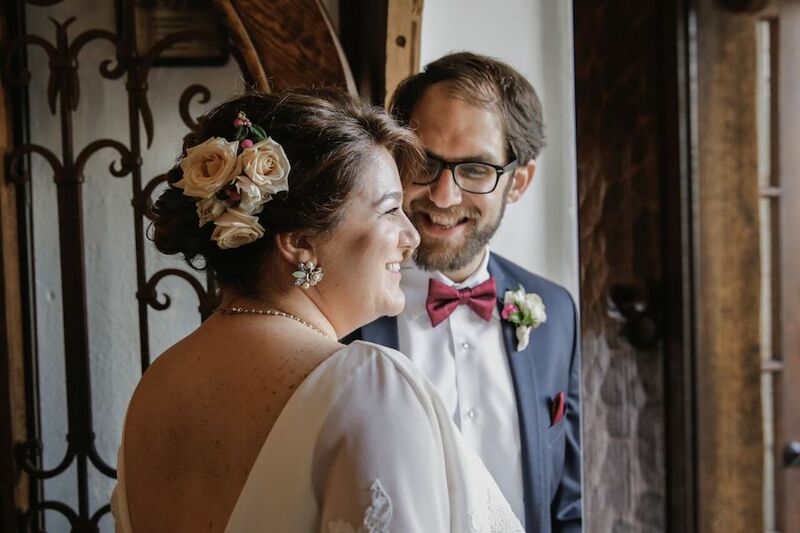 Wearing an off the shoulder flowing white gown, Allie walked down the aisle towards Kyle who awaited her in a fitted black suit with a bow-tie and classic boutonniere of white blooms and greenery. 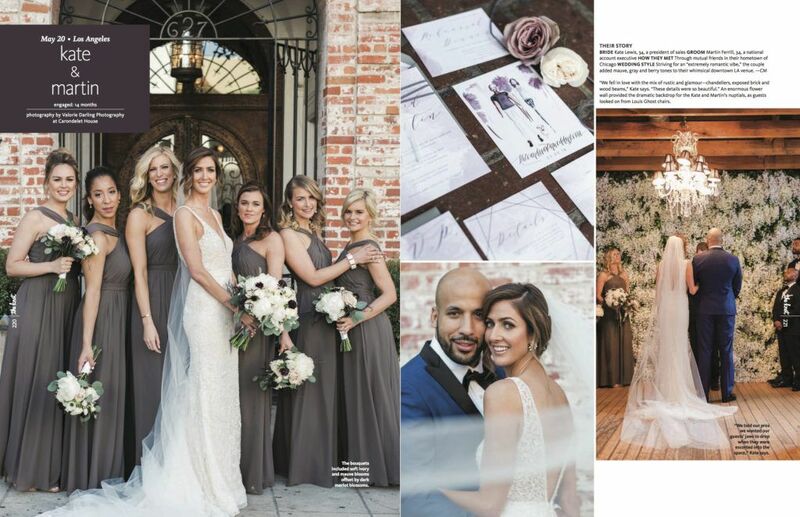 Allie’s bridesmaids all wore floor length black dresses in various cuts. 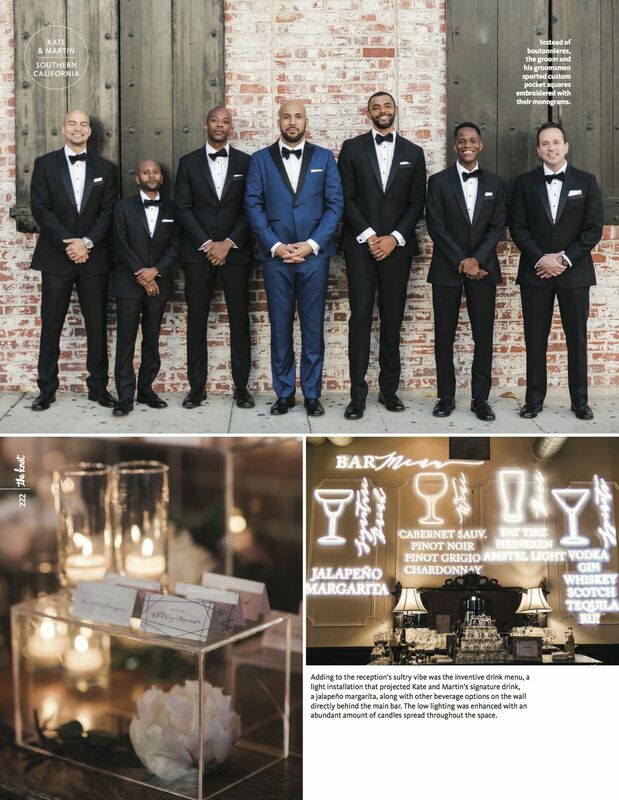 The groomsmen looked sharp in black suits. 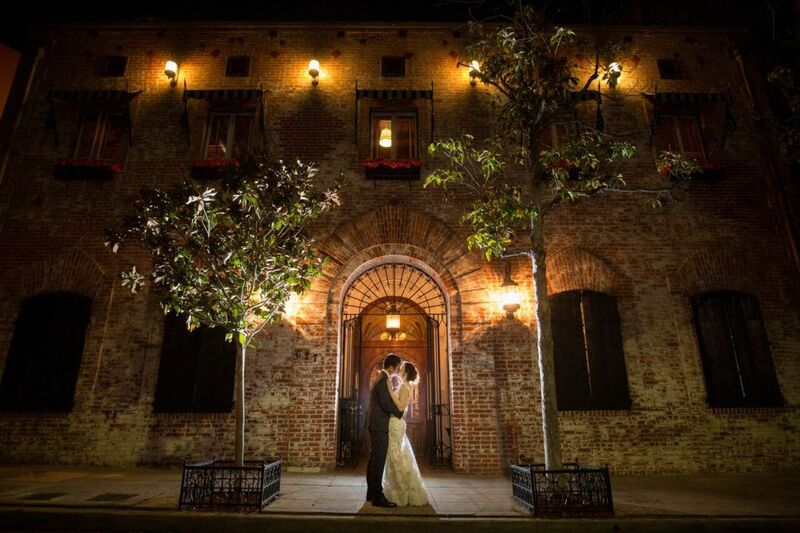 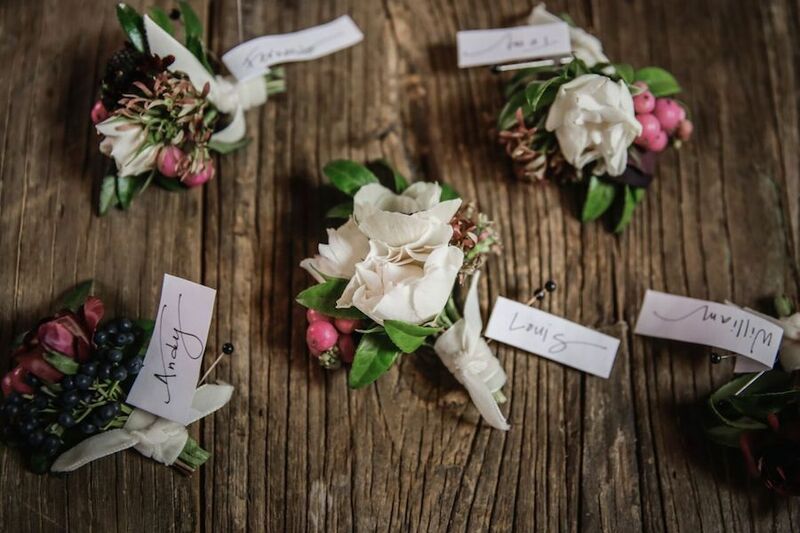 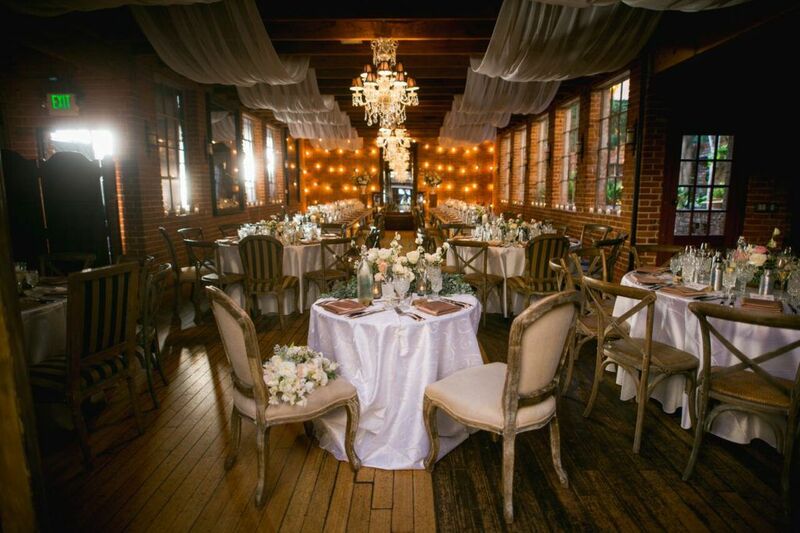 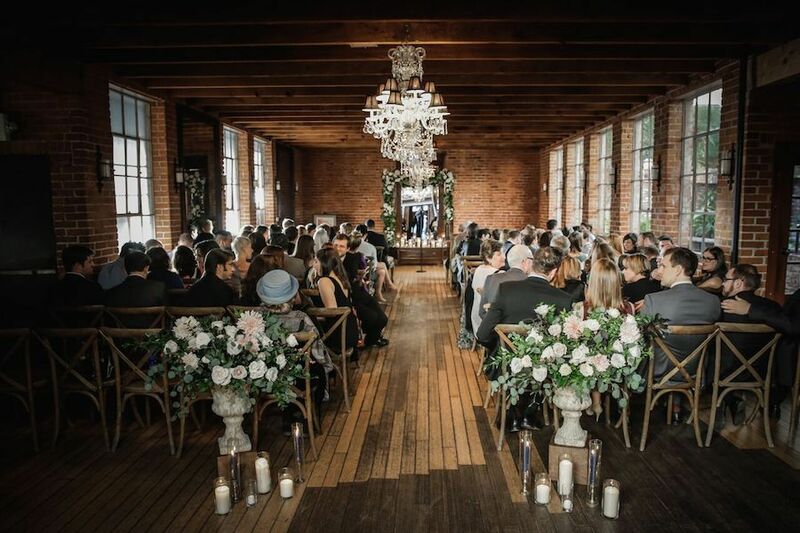 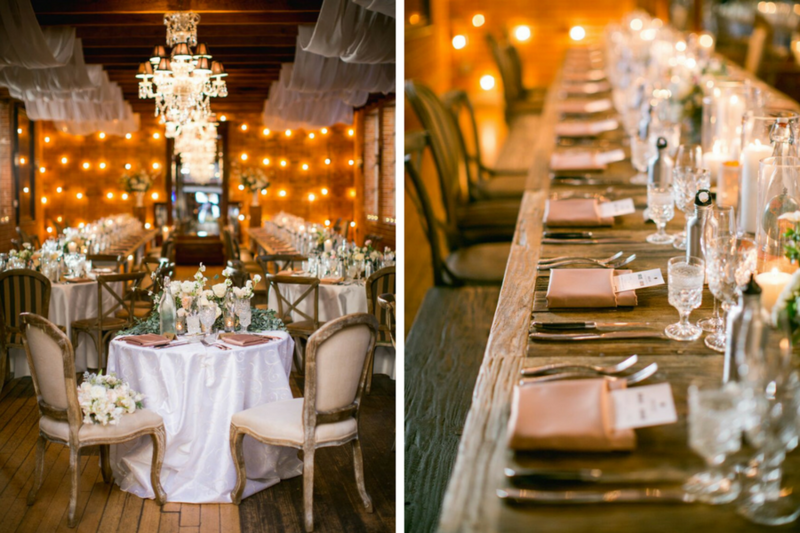 With our exposed brick expertly decorated with green garlands, the two became husband and wife. 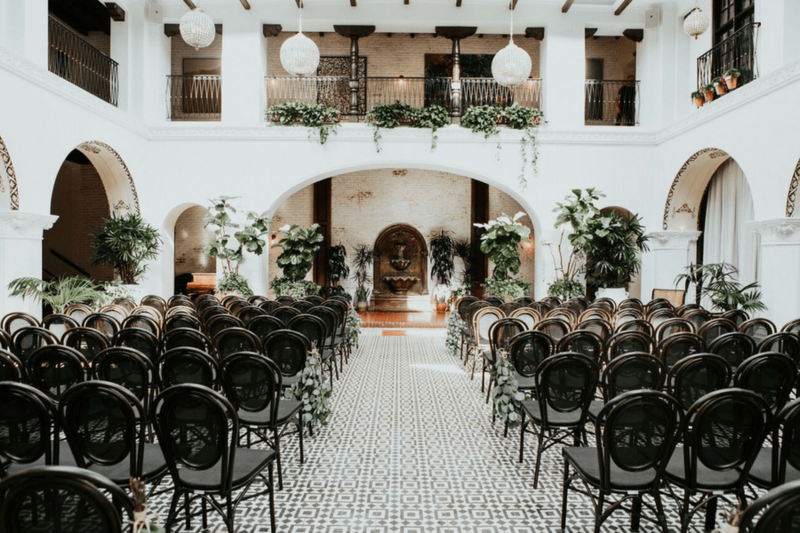 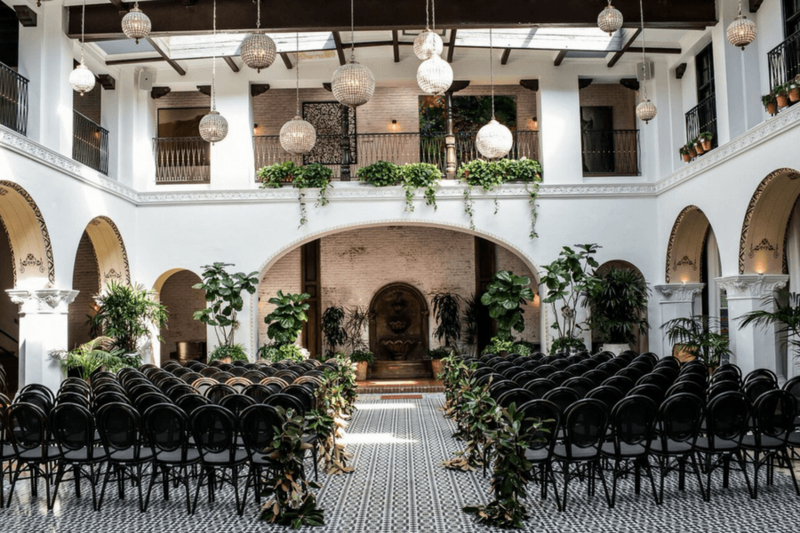 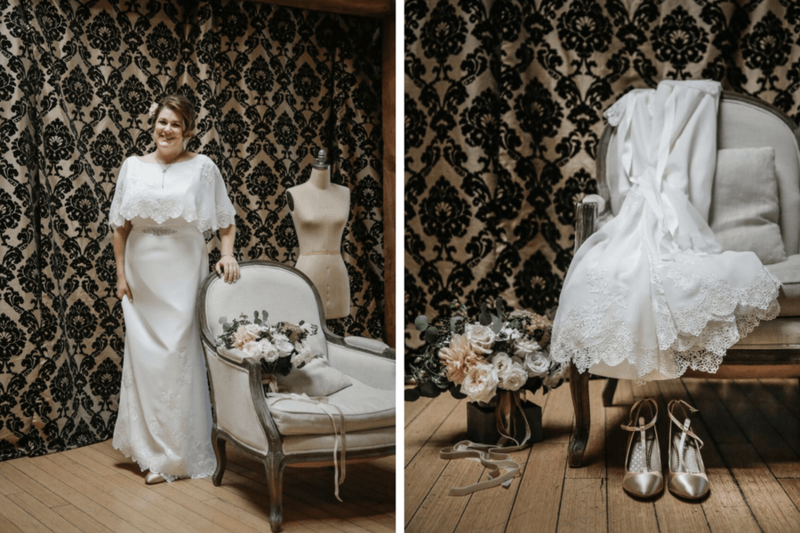 Inspired by a pair of gorgeous heels, Beth and Louis knew they wanted to host their Los Angeles nuptials somewhere that would reflect the vintage glam style of the shoes and boast tons of charm, and Carondelet House was just the right place to do so! 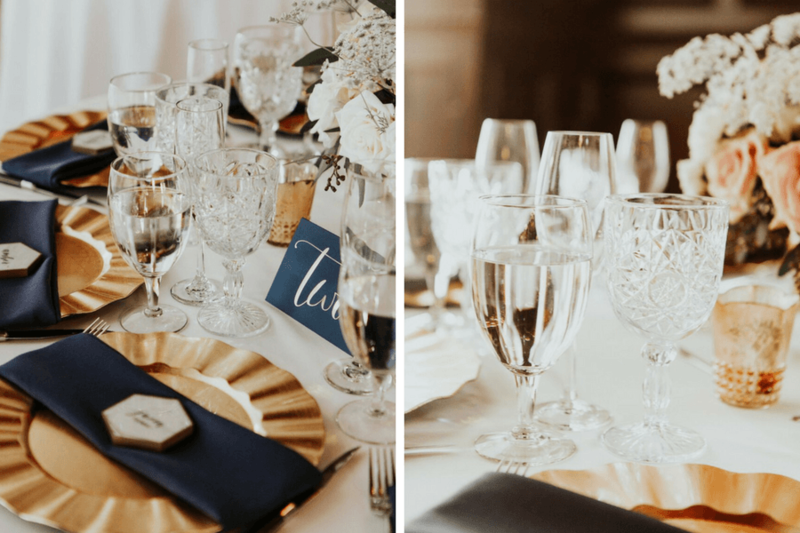 A color palette of blush and cream coupled with pops of deep navy and maroon helped set a dramatic and elegant tone for the vintage inspired design. 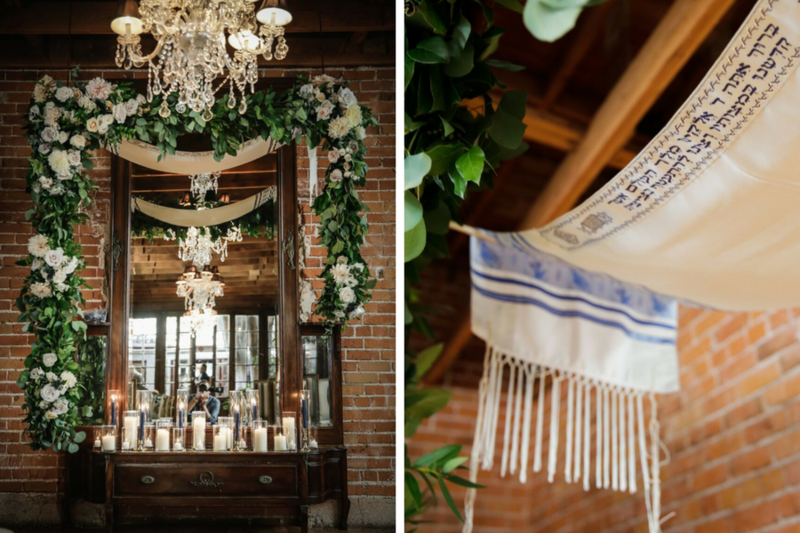 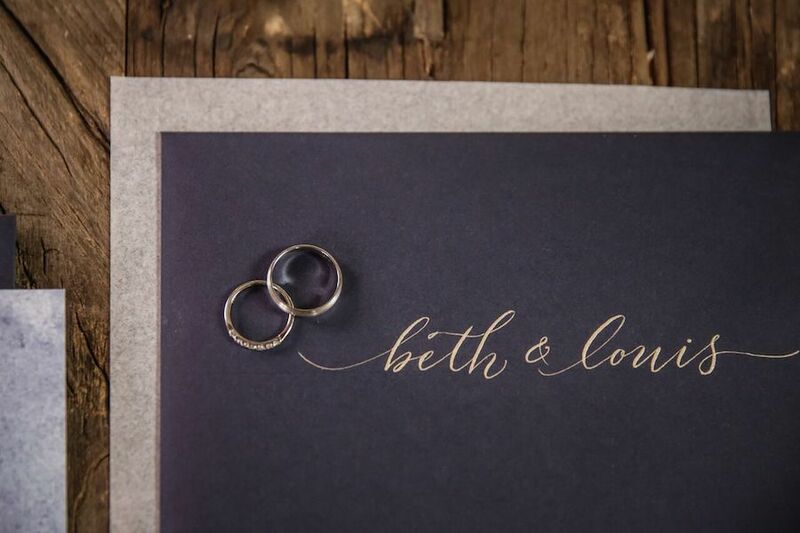 The couple personalized their ceremony to incorporate their faith and personal humor for a truly intimate moment. 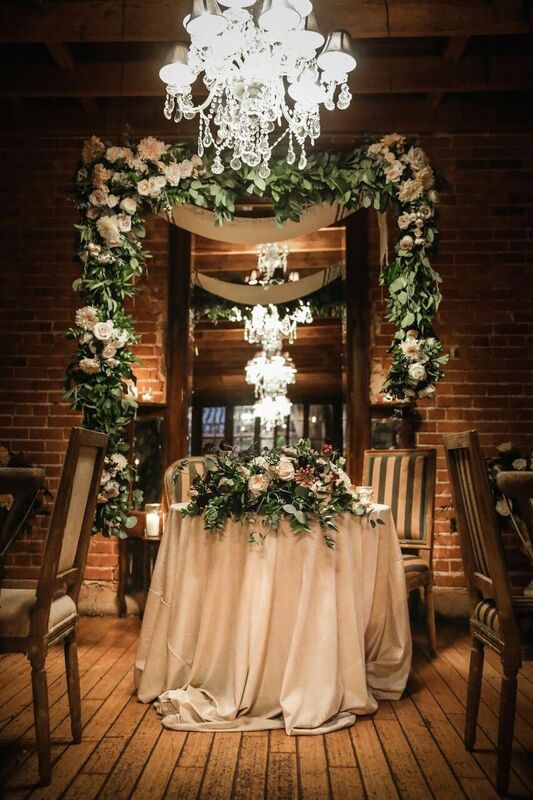 Vows were exchanged beneath a gorgeous floral display by Enchanted Garden that framed the ceremony space and added to the elegant ambiance. 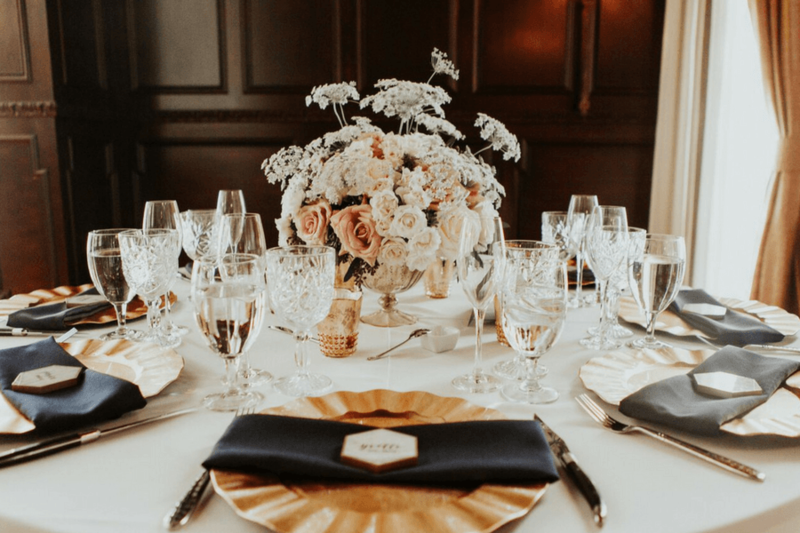 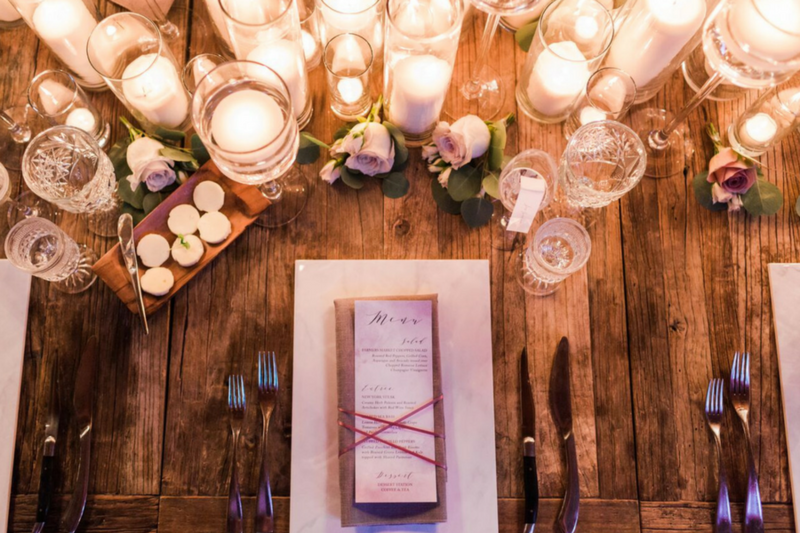 After the two were officially announced husband and wife, the room was transformed into a gorgeous reception where textured velvet accents and an abundance of candlelight made the dining setting a romantic site to behold. 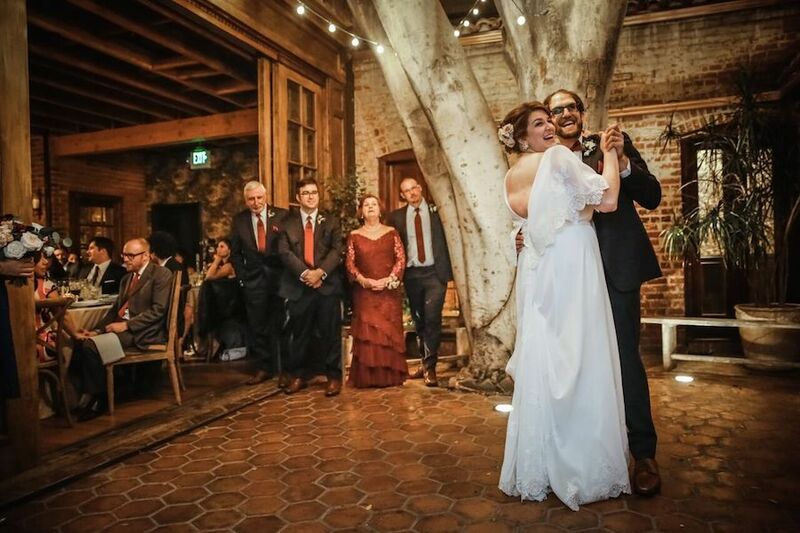 Beth and Louis shared their first dance in the courtyard beneath hanging lights, surrounded by their glowing family and friends. 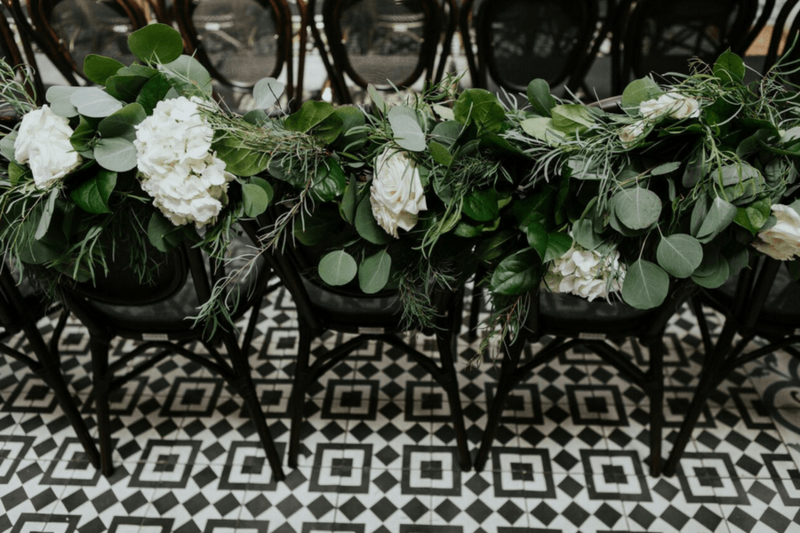 A four tiered white wedding cake from Susie Cakes boasted beautiful fresh floral accents and a velvet ribbon for a beautiful addition. 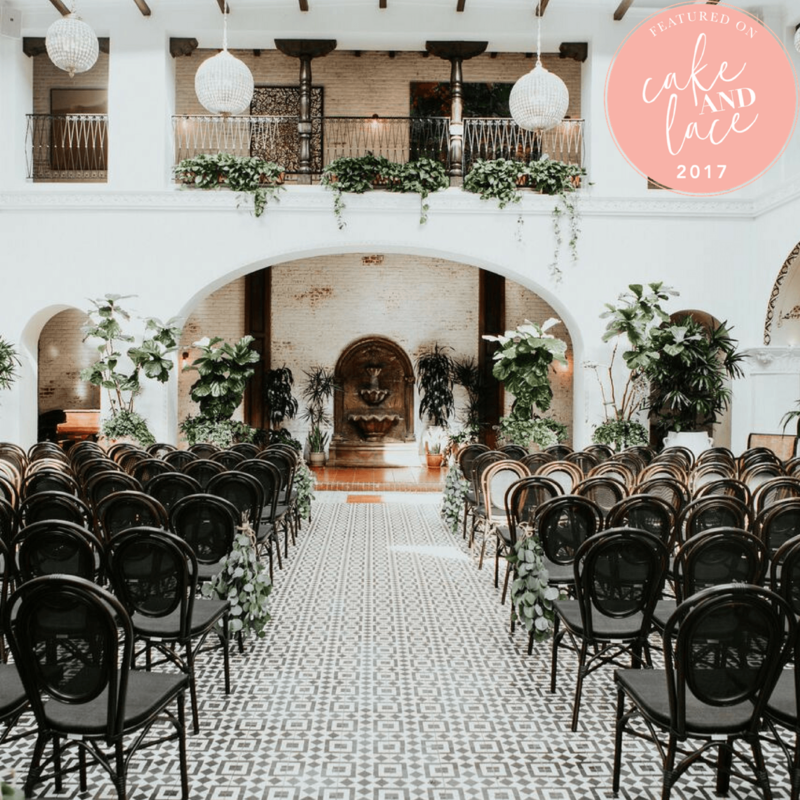 We are honored to have been part of their dream day and thank the talented team of vendors that came together to make it one for the books!